Freedom Center or Armed Services Lounge is located in both of the terminals. The lounge is located near the Gate A43 in the McNamara Terminal and near the Gare D17 in the North Terminal. The Freedom Center provides veterans, military members, and their families a space to rest before and after the flight. There are beverages, snacks, TVs, computers, telephones, newspapers, children's area provided at the lounge area. The lounge is usually opened from 06:00 until 23:00, however, those hours might change depending on volunteer scheduling and availability. 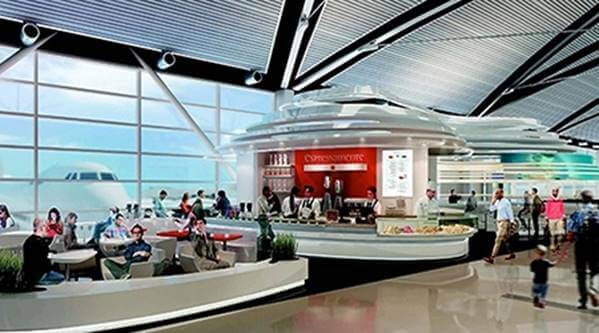 There are various cafes, bars, and restaurants located in both of the terminals before and after the security checkpoint. Those include Andiamo, Bigalora Cucina, Cat Cora's Taproom, Coffee Beanery, Corridor Kitchen, Detroit Street Lunchbox, Gordon Biersch, Harvest & Grounds, Longhorn Steakhouse, McDonald's, Pinkberry, Potbelly, Starbucks, Subway, The Shed Bar, and Wendy's. The Facilities provided for Unaccompanied Minorities are operated by various airlines separately on the territory of the airport. The staff will meet under-aged passengers and assist them through the whole process. All other details shall be discussed with the airline operators directly. The airport provides Facilities for Disabled Passengers and enables to ensure all equipment to make the arrival to the airport for the passengers with the reduced mobility easier. There are the Wayfinding & Signage that allows navigating quickly through the terminal; the Family Restrooms; the Accessible Parking area, etc.